You are here: Home / Blog / Happy 8 year Anniversary Whynotmom.com! 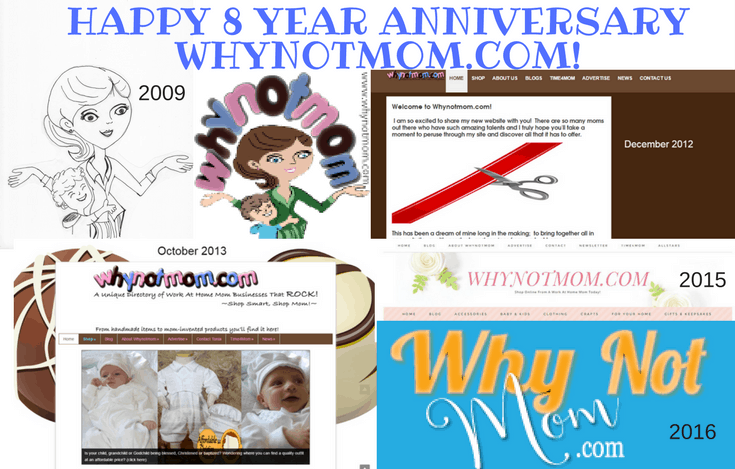 Happy 8 year Anniversary Whynotmom.com! I can’t believe it was eight years ago today that I first registered the domain Whynotmom.com! So MUCH has changed over the years and like many wives and mothers, it all started with my desire to help our family finances. My youngest was merely an infant at the time. My husband had been laid off for the third or fourth time as a diesel mechanic. A career in construction trade industry used to be steady work, but when the housing industry collapsed and the construction slowed down, so did the work. He was the last one to be hired on most crews, which meant he was usually the first to be let go. My husband and I even started our own home inspection business, but alas it wasn’t meant to be in that economy. There was a shift that many families were feeling at this time. When the jobs that were normally male oriented jobs started becoming less available, there suddenly became a need for jobs that were seemingly more female oriented. When I was young and single, I had worked in the customer service for telecommunication companies for 10 years. When our youngest was about one years old, we decided I would go back to work for the local phone company, while he stayed home with the kids. Due to the cost of day care it never made sense for us both to work when most of one month’s paycheck was almost equal to the daycare bill. Going back to work was a miserable experience for us both. The good thing that came from it was that we both realized how hard it was to be in each other’s shoes. Playing the part of the provider vs. the caretaker really opened both of our eyes. I loved being home with our children and he needed to feel needed as a provider. So we put our heads together and came up with a plan for us BOTH to go back to school while he worked part time and we would live off student loans for a short time. After working for the phone company for one full year I quit and went back to school full time. 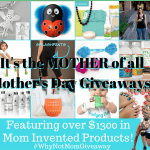 Shortly after my son was born I started looking for ways to work at home and that’s when I came up with my business idea for Whynotmom.com and registered the domain. I had no idea what I was doing, knew nothing about blogging, coding or web design, but I knew in my heart that this idea I had for a business would someday take off but I needed the skills to do so. So this was my drive and motivation to go back to school and major in web development at the community college. I figured if I knew how to design my website myself, I wouldn’t have to pay someone else to do it for me. I always enjoyed technology and social media was just starting to take off at the time. So off to school I went and my hubby decided to major in computer security and forensics, followed by computer science. He always loved computers and knew it was a high demand position, but the demand and knowledge required in that field was also overwhelming. After my youngest son was born I searched the internet diligently for work at home jobs. The only problem was most everything I found was either a scam, a direct sales business, and/or required an investment. There were very, VERY few legitimate jobs to be found. It seemed as though they were targeted women who were desperate to supplement their family income too! That infuriated me to no end. Then I discovered something else along the way. I found many mom owned start-up businesses and inventions that had fantastic ideas and solutions for the everyday problem. What saddened me is that many of them closed up shop and no longer were in business. They had great products and services but it wasn’t enough to keep them going financially. What happened? Why didn’t they succeed? 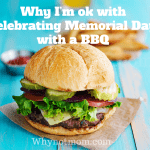 I was determined that I was going to do something about it and that was the beginning of Whynotmom.com! It was soon after I got this idea that I realized it was going to have to be put on the back burner. Not once but many times over the years. I had taken the step to register the domain but I had no idea what I was doing. I went back to work for a year and then I went back to school so I could learn more about the industry. With only four credits shy of my Associates degree I left school to be home with my kids while my husband went out on the road as a truck driver full time. I wasn’t even sad about quitting school. Honestly it was never about the degree for me. I mainly wanted to learn what I needed to run a website and design my own graphics if need be. I learned that I didn’t really enjoy coding much, but I loved graphic design! Unfortunately graphic design wasn’t being taught at the community college I was attending, but I knew that if I really wanted to learn I could take online courses and teach myself which I did. Once my husband decided to go back out on the road I knew I had to be there for my kids 100%. That meant my business would have to take the back burner once again. The hardest part was hearing him say these words: “Honey I have to leave my job, quit school and go back to being a truck driver.” He had been a truck driver a few years before we ever met but quit because he wanted to settle down and have a family. He explained that he knew he could make a good salary as a truck driver and the insurance benefits would be an added bonus. He couldn’t stand not having financial stability like we had experienced when he was laid off from his mechanic work. So he began truck driver refresher training courses for three straight months without being able to come home. It was HELL! All three of our kids were devastated in their own way. They loved their Daddy something fierce! Our youngest with special needs really had a hard time with it. He couldn’t comprehend why he couldn’t just go see Daddy whenever he wanted too. Why Daddy was always gone, why couldn’t we just drive to the truck stop and pick him up? The tears, oh the tears…. I went through stages of emotions myself. I was angry at him for leaving me with three kids to raise by myself, depressed and lonely at the thought of not having my husband in my bed every night, sad whenever I had to hear and see the tears streaming down my child’s face when they missed him. I was a married woman raising kids like a single mom; or as I jokingly called myself “a single married mom”. Some of our logos and websites designs over the years. 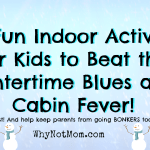 When your husband is gone for an average of 4-6 weeks at a time you find yourself looking for ways to create a new normal to help your children adjust. For me. I had to pull myself out of the depression I kept climbing into. For the sake of my kids and my marriage I had to keep “trucking on” for lack of a better expression. I started blogging and learning more about social media. I become connected with as many business professionals and bloggers in my niche as I could. I had created a strong network of work at home moms and women inventors and felt a new purpose in my life. But something was missing and no matter how I tried I couldn’t fill the void. It was time to look for ways to bring my husband back home again. As much as I wanted to make enough money with my business so he could work locally or better yet work with me, I knew that was going to take awhile to get to that point. In the meantime my kids needed their Daddy and I needed my husband. So what to do? At this point we had to make a decision. Having my husband gone for 4-6 weeks at a time was hard enough on us. But every time he returned home it would throw our whole routine off and made things harder each time. At the time my husband was working for a Trucking company that had several terminals all over the US but none of them were anywhere near where we lived in Idaho. A lot of freight comes from the Midwest region due to the industry there. I started looking at different terminal locations and we determined that Lafayette, Indiana would be the most suitable location nearest a terminal. It was central to most of the regional states he would deliver and that guaranteed he would be home nearly every weekend! Once we made up our minds to move, there was no going back. We were going to be together again! It wasn’t easy leaving our family and friends back in Boise, Idaho, but in the end we knew our family had to come first. It’s been one year since we moved to Lafayette, Indiana. It was one of the hardest decisions we have ever made. Financially, emotionally, physically it drained us. But we overcame and we are moving forward. Many tears shed, many hearts broken, but we persisted and we adjusted and acclimated ourselves. The kids love seeing their Dad every weekend and I love having him home again. It’s made all the difference in our family being back together and I feel our family unit strengthen every day! We just came back from a trip to Idaho visiting with family and friends and as much as we love and miss them and miss Idaho, we are glad to be ‘home’ because home is where your heart is and for now that is in Lafayette, Indiana. So what is in the future for my business you may ask? Oh goodness, SO MANY THINGS! I have a dozen ideas rambling through my brain any given day and I’m focusing more and more on what my ultimate end goal is which is to make Whynotmom.com the LARGEST online directory of work at home mom businesses! Imagine every time you need to purchase a product or service you would just go to my site, click on a category and find what you need! The best part is it would help a family pay their rent or mortgage, provide dance or piano lessons, pay for sports equipment for their children. This is my DREAM! To support families through purchases you would make anyways and put your money to good use instead of padding corporate pockets. Wouldn’t that be amazing?! I am in the process of changing my logo and mission statement to be clearer to new visitors of my site. I’ll be actively seeking advertisers and businesses to fill my directory and offering reasonably priced solutions to everyday needs. I will be offering tutorials, webinars, and courses to those who need to strengthen their skill set or learn a new one. I will be connecting with brands who believe in strengthening families and offering their services as well. I hope you’ve enjoyed getting to know me and my story a bit better. Let me know what else you would like to see on my directory and/or my blog. Let’s work together to make this happen! P.S. Thank you to all who have supported me over the years, especially my husband, children, my sisters and my parents who have always believed in me and my business, I love you all!